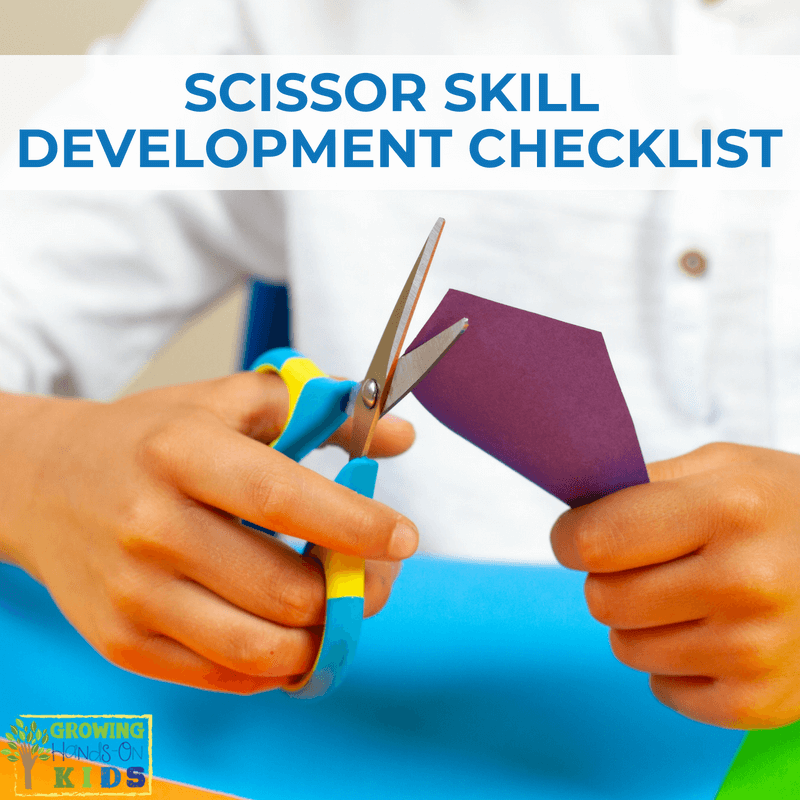 Scissor Skill Development Checklist for Ages 2-6 - For parents, teachers, and therapists. Have you ever wondered when you should introduce your child or student to scissors? It may be a lot earlier than you think. Today, let's look at scissor skill development for ages 2-6. Plus I have an easy checklist for you at the end of this post! Cutting involves a lot more than just picking up a pair of scissors and learning how to hold them or open and close them. 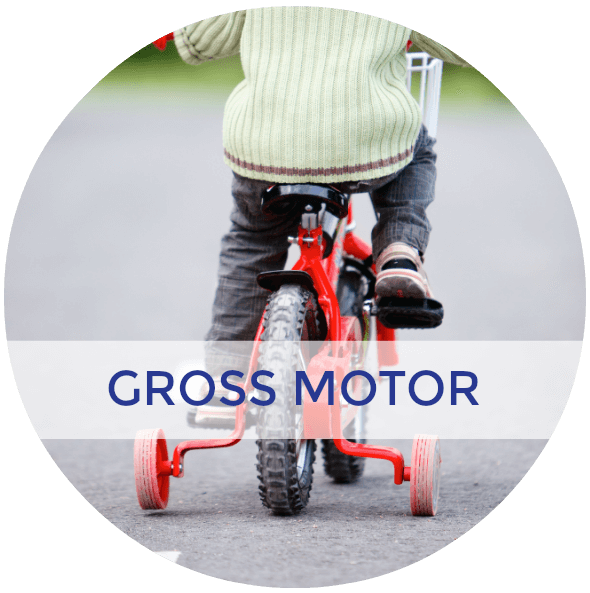 Your child needs to be able to sit up appropriately and have good balance and stability. Slouching while cutting will not work. And when a child feels unbalanced, it will make holding the scissors very difficult. They also need stable shoulders with wrist and finger control, including being able to isolate the thumb and the fingers in order to grasp and release the scissors. Bilateral coordination, or using both sides of the body together is crucial to cutting. Using both hands together means the dominate hand opens and closes the scissors while the non-dominate hand or “helping hand” hold the paper and rotates it as needed. Let's take a look at each stage of scissor skill development. Between the ages of 1.5 to 2 years old, a child learns to hold scissors, often using both hands to open and close the blades. 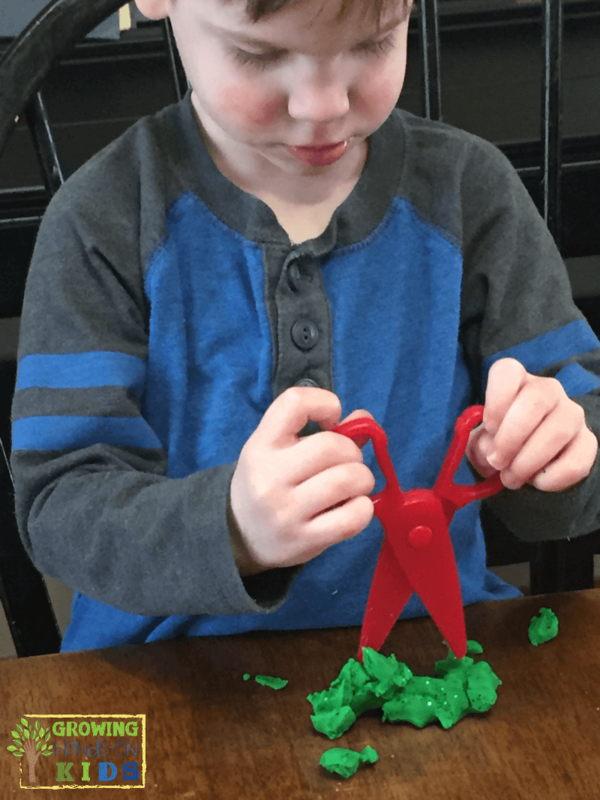 At ages 2-2.5 years old, a child learns how to open and close the scissors. They are NOT ready to use them with paper. This is a great time to practice with play dough, modeling clay, or continue to practice tearing paper. Remember to always encourage a “thumbs up” position while holding the scissors. 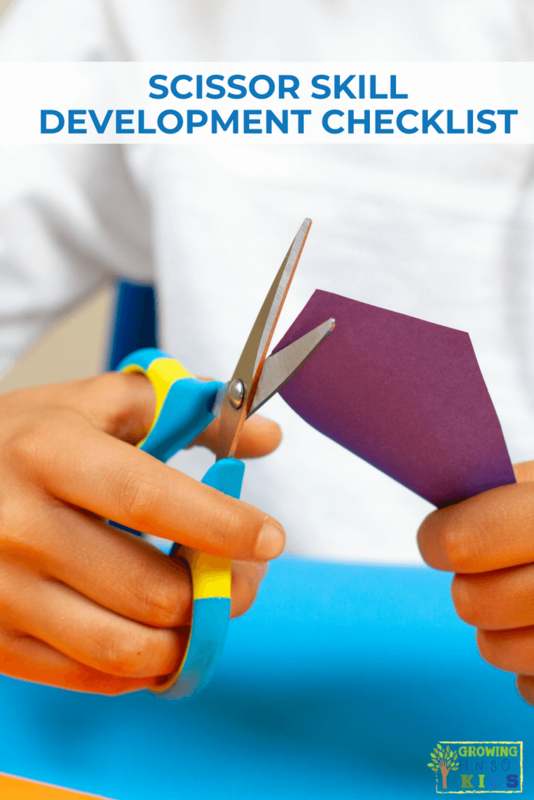 Once the child has mastered opening and closing the scissors, they can move on to making small snips on the paper. They are not moving forward on the paper with scissors, just making snips. This can happen soon after or around the time they begin to open and close the scissors, so that is why the ages appropriate recommendations are the same. However, some children may need more time before introducing the paper. It all depends on their skill level. 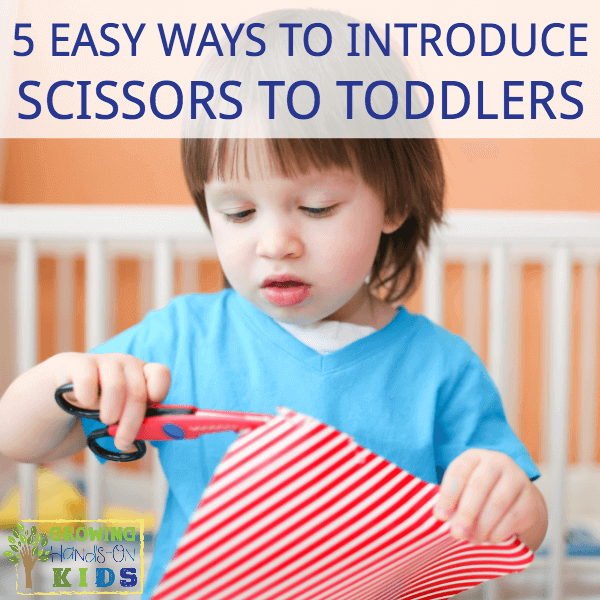 Check out my post, 5 tips for introducing scissors to Toddlers here. 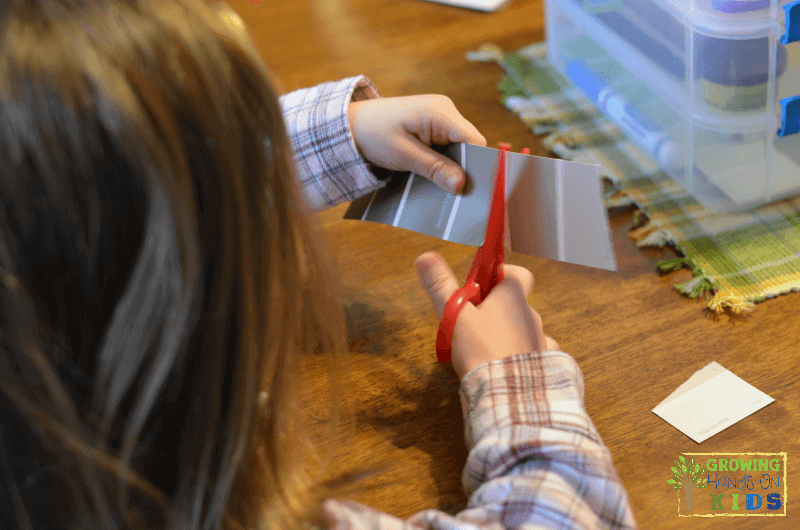 By the time a child hits age 3, they are able to make snips om the paper while moving the scissor forward across the paper (keep the paper size to about 6 inches long). Between 3 and 3.5 years old, a child begins to use their “helping hand” or non-dominate hand to hold the paper and help manipulate it while cutting with their dominant hand. Remeber to encourage a “thumbs up” position while holding both the paper and scissors. Check out my 7 ways to improve bilateral coordination post here. By age 3 to 3.5, a child can move the scissors along a straight line that is 6 inches long. Their accuracy is still a work in progress, with most cutting within 1/2 inch of the cutting line. By age 4, their accuracy improves and they are able to cut a 6-inch straight line within 1/4 inch of the cutting line. By age 4, a child is able to cut on a curve line that is 1/4 inch wide, staying within 1/4 inch of the cutting line. Also by age 4, once a child has mastered curved lines, they are able to take on circle shapes of at least 6 inches in diameter. Their accuracy will start at around 1/2″ from the cutting line and improve to 1/4 inch from the cutting line as they continue to practice. Between the ages of 4.5 and 5 years old, a child can cut out a square shape within 1/4 inch from the cutting line. Between the ages of 5-6, a child can begin to cut out more complex shapes such as figures. It's important to remember that all the recommended ages with each skill are the average age a child can master each skill. Some children may master them earlier, others later. I share the agest more so you can see which skills are age appropriate, not that each skill should be mastered by these ages. 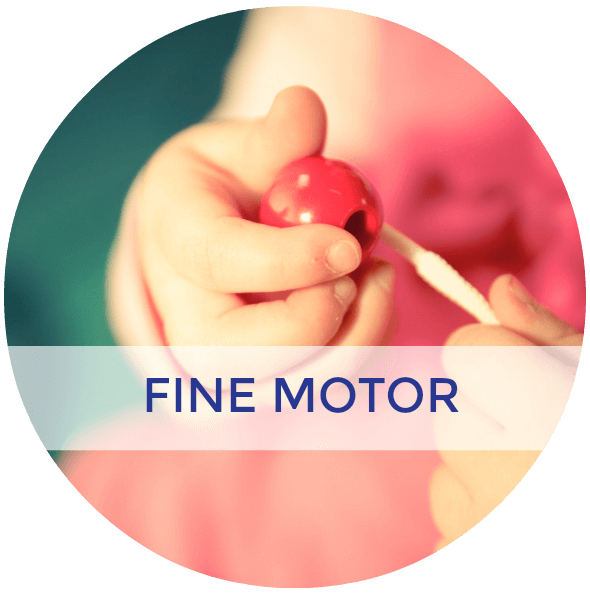 If you do suspect your child has a delay in fine motor skills, talk to your child's physician. 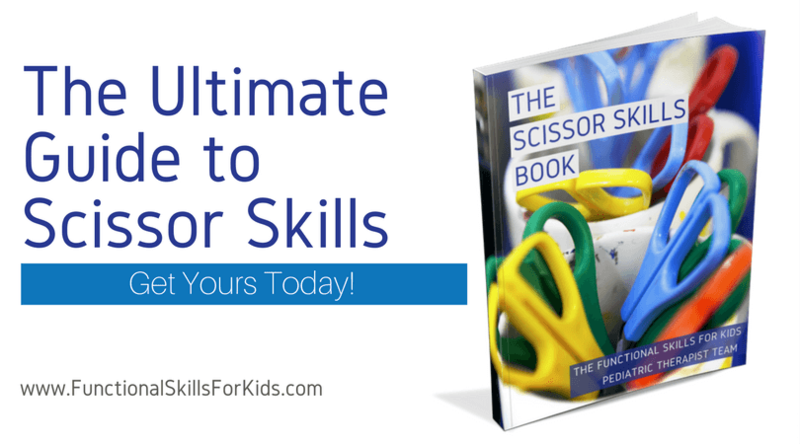 For even more information on scissor skills and all the developmental skills needed to be successful, check out The Scissor Skills Book. 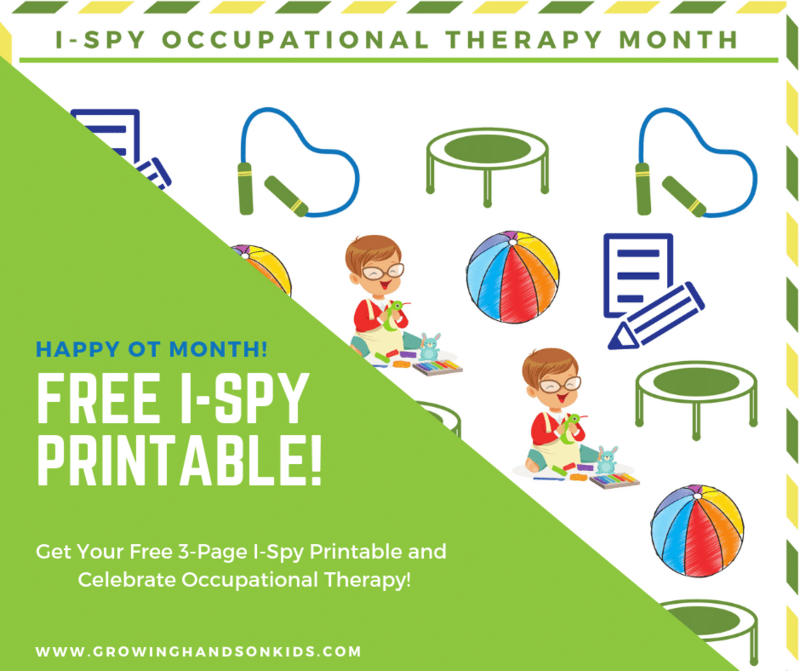 It is written by 10 pediatric Occupational and Physical therapists, including myself. We cover everything from typical development, adaptive strategies, tips for left-handed uses, and more! 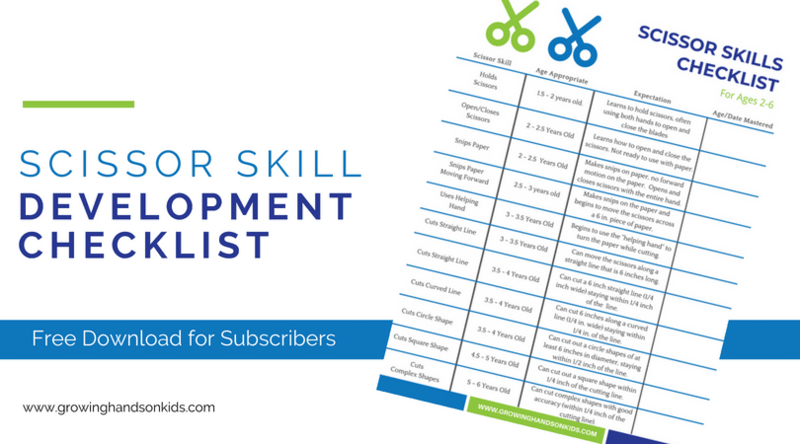 I'd love to offer you a free printable download of my scissor skill development checklist. 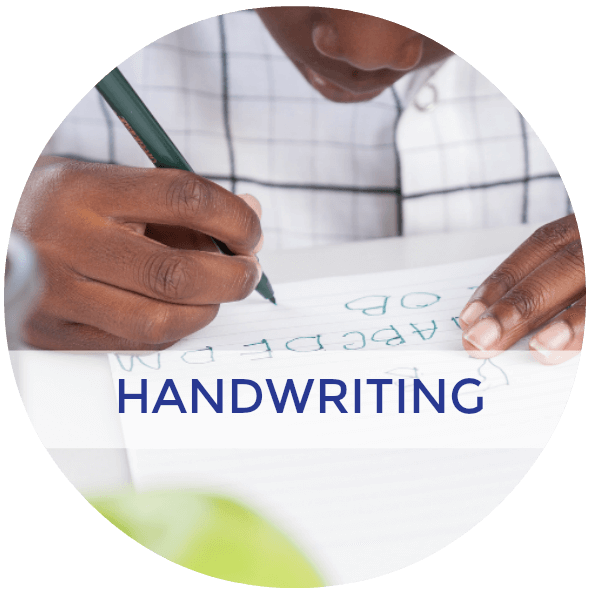 It has all the ages and skills mentioned above, along with a place for you to mark down when your child masters each skill. 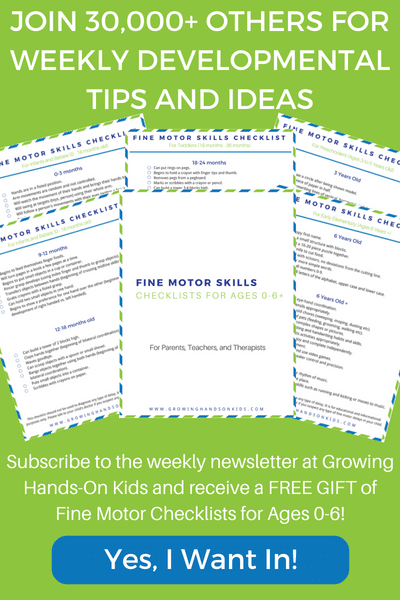 It is free for subscribers, so first subscribe to my Growing Hands-On Kids newsletter and you'll get your free printable gift. 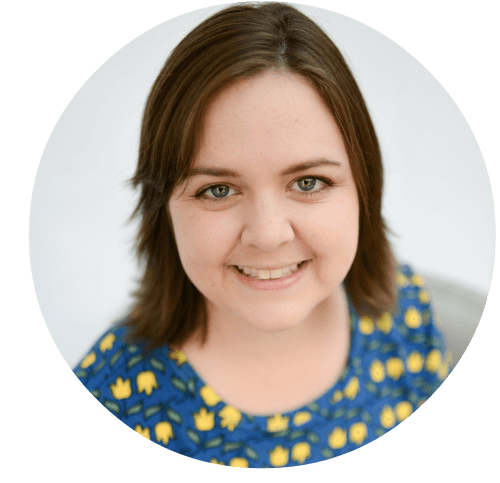 I send weekly development tips, tools, and strategies just like this one to your inbox each week. 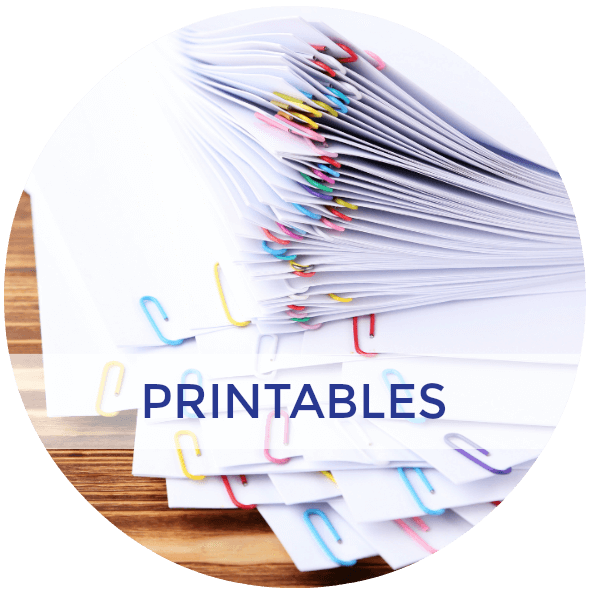 Plus, you'll be the first to know about new printables, products I recommend or any new products I create. By downloading this printable, you are agreeing to the terms and conditions on my site. Dunn, Marsha Lee. Pre-scissor Skills: Skill starters for motor development. Communication Skill Builders, Inc., 1979. Exner, Charlotte E. Development of Hand Skills” In J. Case-Smith (ED). 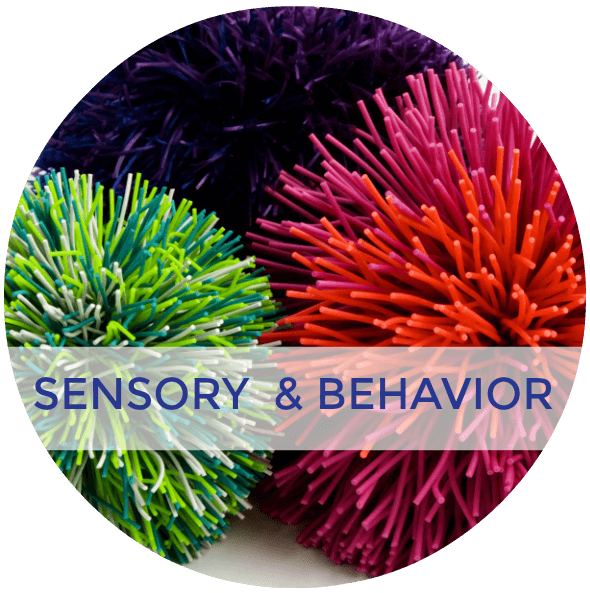 Occupational Therapy for Children. Mosby: St. Louis. Folio. M. Rhonda, Fewell. Rebecca R. Peabody Developmental Motor Scales. 2nd Edition. Austin. Pro-Ed. 2000. 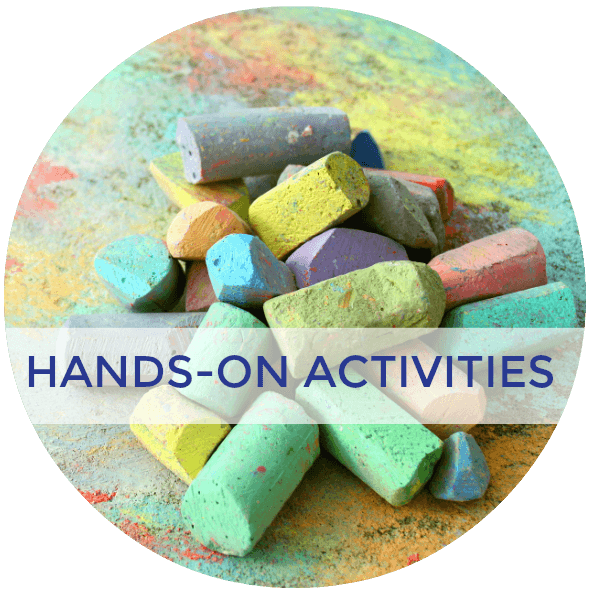 Follow Heather | Growing Hands-On Kids's board Scissor Skills on Pinterest.